Is your home bursting at the seams? Do you need additional living space for your growing family, but don’t want the hassle of trying to find the perfect home, packing, hiring movers, and finally unpacking and reorganizing a new home? What about that needed extra space for an elderly loved one? More and more homeowners are avoiding the cost of unnecessary moves and instead are upgrading their existing home. Home additions are a great way to enhance your lifestyle, transform your home, give your family the much-needed space they’ve always dreamed of, and add value to your home. One of the biggest reasons homeowners choose to update their home is the need for more space, and a home addition is a perfect way to make that happen. Even just adding a small kitchen or bathroom can create a world of possibilities. Whether your family is expanding by the addition of a new little bundle of joy, older children living at home for financial reasons or you have an elderly parent that needs additional assistance, home additions are the perfect solution for housing extra family members. Some homeowners have even chosen to rent out their room addition for supplementary income. Of course, adding an extra room is obviously cheaper than moving! Converting unused spaces is one of the most cost-efficient ways to give you extra space. Some homeowners have breakfast areas, formal dining rooms, or formal living rooms but rarely use them. There’s even wasted space in such rooms as laundry rooms, “spare” bedrooms, closets, or even garages. Do you have ideas about home additions but you don’t know where to start? All Star Construction can help you add value and square footage to your existing home. We have used our expertise to seamlessly design and construct thousands of additions of all types over the past four decades. We have extensive experience in coordinating construction projects and have good working relationships with local building departments so inspections run smoothly for decreased downtime. We keep our job sites clean and organized for your safety. 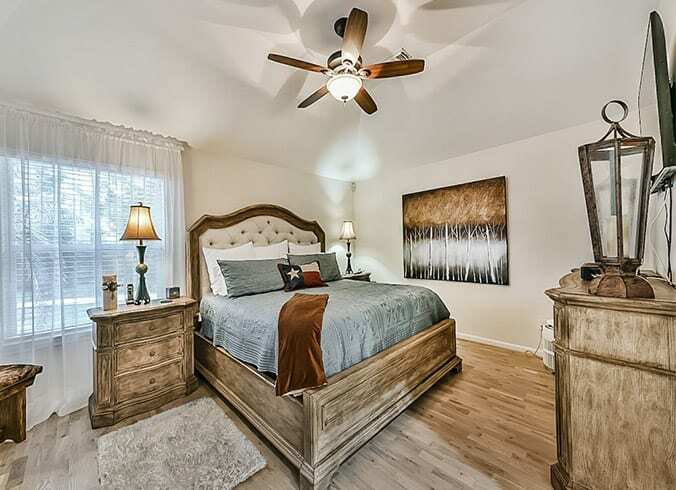 Bedrooms – Adding an extra bedroom to your home is a great way to add space for a growing family, give you additional private living space, and increase the value of your home. Master Suites – Master suite additions are very popular. It’s a type of oasis for parents…a place without kids’ toys, teenagers’ sports equipment, or piles of laundry. It’s a place to rest, relax, bathe, and dress in peace. Bathrooms – Besides kitchens, bathroom additions is one of the best improvements you can make and adds the most value to your home. If you’re selling your home, having more bathrooms appeal to people with children or large extended families. If you’re keeping your home, a new bathroom brings additional convenience for your family. Game Rooms – Game rooms, first and foremost, add value to your home. This is considered a unique luxury feature and is a strong selling point if selling your home. Additionally, game rooms offer extra entertainment space, while maximizing the space in your home as efficiently as possible. Home Theaters – Many people think a luxurious home theater system is unobtainable. However, there are many advantages of investing in a home theater. First, they definitely increase the value of your home. 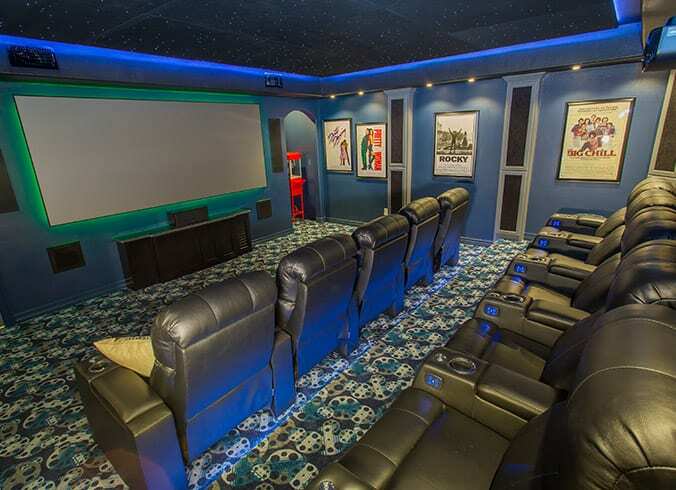 Just remember that the better the design and amenities of your home theater, the more value it will give to your home. Next, they are custom built with you in mind, based on your style and personality. No two home theaters are alike. And of course, everyone will want to come over to watch the latest movies, the most popular sports events, or even attend the best pajama parties, all within the privacy of your own home. Closets – Adding a closet, especially a walk-in closet, gives you increased storage space, improves the resale value of your home, and just makes your life easier. You can use the space to store not only your seasonal clothing, but it can be used as a private dressing room as well. Having a walk-in closet that is professionally designed to maximize the available space is a great selling point to homebuyers. Mother-in-Law Suites – More and more families are faced with the decision about how to care for an aging loved one. Instead of placing aging parents in an assisted living facility, adult children are adding a mother-in-law suite to their home to ensure a positive and comfortable experience for their loved ones. Sharing space with extended family members allows aging parents to maintain independence, which greatly improves their quality of life. Laundry Rooms – When homeowners decide to remodel, the laundry room is often overlooked. However, a well-designed and beautiful laundry room can be the perfect versatile area for storing home goods and materials, doing laundry, and adding additional storage space to your home. Offices – In recent years, the internet has made it easier for people to work from home. Being able to communicate with your clients from the luxury of your own home saves the time and money it takes to lease office space. In addition, home offices can possibly be a tax deduction. Sunrooms – If you’re looking to add space, value, and functionality to your home, a sunroom is the perfect solution. It is one of the most versatile and cost-efficient home improvement ideas. Also, adding a sunroom is a great way to bring more light and enjoyment to your home. You can even turn your sunroom into a green room! Attic Conversions – As with most conversions, attic conversions help to increase the value of your home without having to build a room addition. It’s the perfect way to add utilize the space you have to create the space you need. Converting an attic to a bedroom, an office or even a playroom will give you the space you need without losing space outside by extending upwards not outwards. Garage Conversions – In the past, garages were used for a place to park your vehicle to keep it safe from the elements. And if the car is parked in the driveway, then the garage is used as a place to store junk and unwanted items. By converting your garage into a usable space, it adds value to your home and extra room for your family. Choose a room that suits the needs of your family such as an extra bedroom, a home office, or even a kitchen extension.